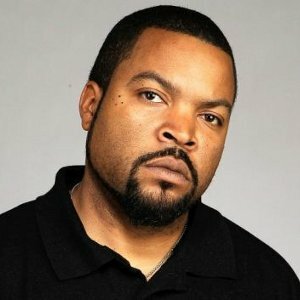 Ice Cube has waded into the row over diversity at this year's Academy Awards. Organizers of the upcoming Oscars have been accused of not ensuring enough diversity in the 2016 nominations after it emerged no black actors have been shortlisted in any of the major categories. Actor Will Smith and his wife Jada Pinkett Smith are planning to boycott the ceremony next month, and director Spike Lee has also refused to support this year's event over the controversy, but now Ice Cube has spoken out and warned the stars they are making a fuss over nothing. The rapper was one of the producers of 2015 movie Straight Outta Compton, which charts the rise of his hip-hop band N.W.A. and has been nominated for a Best Original Screenplay Oscar, and he is adamant critics of the 2016 award nominations are overreacting. Asked by U.K. talk show host Graham Norton if he is planning to join the Oscars boycott, he says, "You can't boycott something you never went to anyway... I look at it like a horse race - once your horse loses the race you tear up your ticket and back out. It isn't something to put your energy into. "We don't do movies for the industry, we do movies for the fans. If the industry gives you a trophy or a pat on the back it's nice but it's not something you should dwell on. It might sting at first when you don't win but let it go and move on, keep making great films and keep making the people happy." Asked about the positive reception for Straight Outta Compton from critics and moviegoers, he replies, "It was great. We got accolades from all levels, from our core fans, from curious fans, and from people that didn't even think they wanted to see that movie. We got so much praise for the movie so how could we be mad that one academy or guild or anybody says it isn't the number one? It's like crying about not enough icing on your cake. It's ridiculous." A fellow guest on the show, House actor Hugh Laurie, agreed with the rapper over his stance on the scandal, saying, "I loved the movie and by the way I think what you've said is the sanest description of the process of awards I've ever heard. As a way of thinking about it and treating it, it's brilliant." The full interview was due to air in the U.K. tonight. Keep doing what you do Cube, your fans believe in you!!!! Utmost respect to you. Question : If an afroamerican actor or actress get an Oscar nomination next year, is because of the colour of their skin? I don't think so, but the doubt will last forever.